The technology available to hold open fire doors safely and legally. Nick Goddard, research and development manager at Geofire, has been in the fire safety industry for over 20 years. Here he talks about the importance of fire doors and the technology available to hold open fire doors safely and legally. Nick Goddard, research and development manager at Geofire. Legally, a building’s fire doors must therefore be self-closing to ensure the door closes to act as a barrier that stops the fire from spreading. 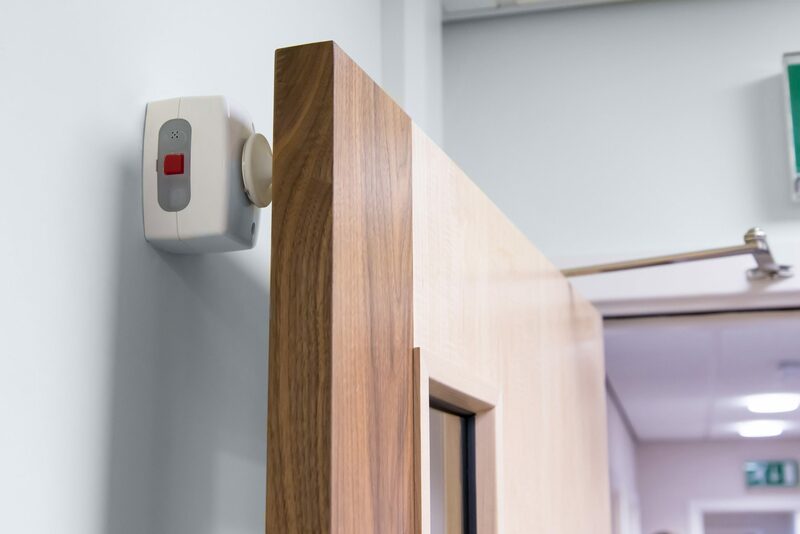 Due to the level of protection a fire door provides, the placement and weight of the doors is often restrictive for example in a care home setting for residents, or for pupils in a school. It is recognised that in these cases it is necessary to hold fire doors open for practical reasons. In this instance the fire door must have a device installed to release the door, so that it will close upon activation of the fire alarm system. Making sure fire doors are closed when the fire alarm sounds is extremely important. The British Standard 7273-4:2015 Code of Practice for the operation of fire protection measures – Part 4: actuation of release mechanisms for doors gives guidance on the installation, commissioning and maintenance of fire door holding systems. The system/hardware used to hold the doors open must also be approved to EN1155 standard. Fire door retainers, also known as fire door holders, use a magnet to hold open heavy fire doors that will release in the event of a fire. Stand alone door retainers are suitable for doors that already have a closing device fitted, however fire door closers with a built-in hold open function are also available. Depending on the installation and level of protection required, there are a variety of fire door retainers readily available which react to different triggers in the event of a fire. Hard-wired fire door retainers are used all over the world and are ideal for new buildings as they have a direct wire connection to the building’s fire detection system. In a normal condition, power (usually 24Vdc) is supplied to the door retainers so that they can hold the doors in an open position. When a fire is detected by the fire panel, power is cut releasing the doors so that they can close. A fault in the wiring or power supply to the door retainers will cause them to fail safe and release the doors. Hard-wired fire door retainers are available in many shapes, sizes and finishes to suit all applications. 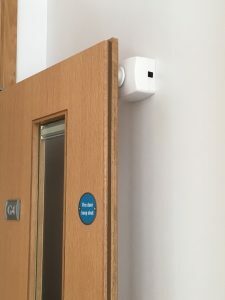 Radio controlled fire door retainers are triggered wirelessly by radio waves from a controller connected to the existing fire panel or interface unit. As minimal wiring is needed, these are often used for fitting into large, existing buildings but still offer high levels of protection. These systems are installed by an approved, trained professional as a site survey has to be carried out prior to installation. Sound activated fire door retainers react to the noise of the fire alarm and some devices can learn the sound of the building’s specific fire alarm, so they will only release when the alarm sounds. This is a cost effective solution as there is no need for wiring to a fire panel. Sound activated fire door retainers are battery powered and can be installed quickly and easily. They are wire free, so installing them won’t affect a building’s infrastructure. Geofire has been designing and manufacturing electromagnet fire door holders and closers for 45 years from its factory in County Durham. Established in 1972, the company is still continuing to invest in research and development to be able to offer cost effective and innovative fire technology. 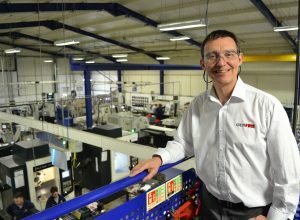 Andy Collinson, CEO at Geofire, says: “What makes Geofire stand out from the rest is that we design and manufacture all of our products in the UK, and we are very proud to be able to say that. Lighting Legislation, Compliance Control And Production Testing: Are You In The Know?